It is believed that ancient man had bigger mouths and a greater need for a few extra teeth later in life. However, the third molars, or wisdom teeth, are seemingly useless to modern man. These four teeth that line the upper and lower portions of the back of the mouth are cause for distress, pain, and discomfort, and lead to wisdom teeth removal for many people. Nearly 85% of all individuals must have their wisdom teeth removed at some point in their lives, according to the American Association of Oral and Maxillofacial Surgeons (AAOMS). This makes routine monitoring of your dental health by your dentist in Virginia essential to your long-term wellbeing. While your wisdom teeth may not be causing discomfort now, regular monitoring of them is critical to maintaining good dental care. 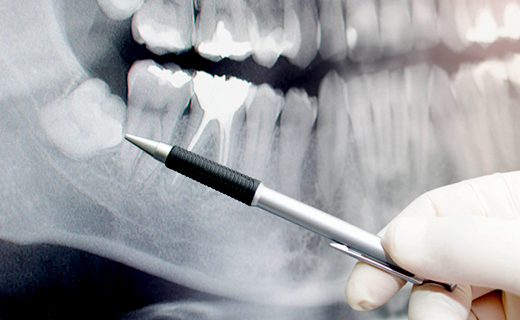 You will need to visit your dentist in Virginia for an exam and x-rays that can diagnose damage, disease, and the risk of wisdom teeth complications.